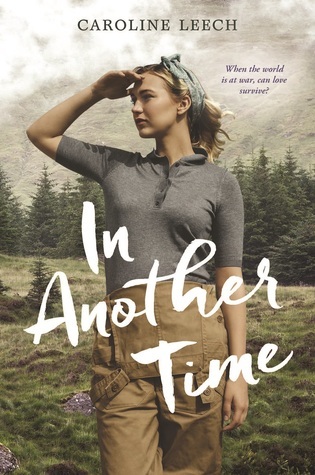 Goodreads says, "Love is worth the fight It’s 1942, and Maisie McCall is in the Scottish Highlands doing her bit for the war effort as a Women’s Timber Corps lumberjill. Maisie relishes her newfound independence and her growing friendships—especially with the enigmatic John Lindsay. As Maisie and John work side-by-side felling trees, Maisie can’t help but feel like their friendship has the spark of something more to it. And yet every time she gets close to him, John pulls away. It’s not until Maisie rescues John from a terrible logging accident that he begins to open up to her about the truth of his past, and the pain he’s been hiding. Suddenly everything is more complicated than Maisie expected. And as she helps John untangle his shattered history, she must decide if she’s willing to risk her heart to help heal his. But in a world devastated by war, love might be the only thing left that can begin to heal what’s broken." I think we need more compelling historical reads for young adults, don't you? This one sounds great and I love the Scottish Highlands setting. I have high hopes. What do you guys think? I love this cover! Yes, I do think we need more compelling historicals for YA and me! =) Great pick! I'm glad you agree. I really like the cover as well. Thanks, Mary! I agree, we need more YA historical fiction! This sounds really good! I know, right? Most of the historical novels I read are for adults. I need to remedy this. Thanks for dropping by, Angela!